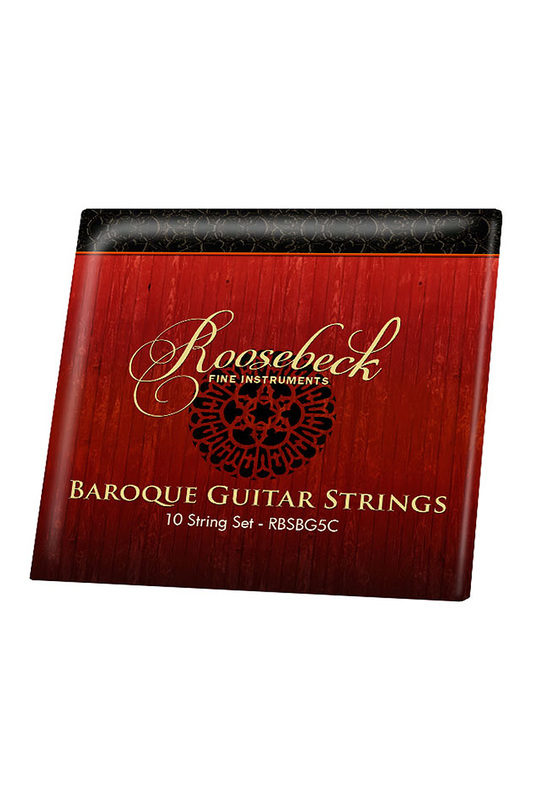 Roosebeck 5 Course Baroque Guitar 10 String Set 2 Extra. The Roosebeck Baroque Guitar String Set is for a 5 course guitar, perfect for our Giorgio Sellas reproduction GBSLAZT. The two extra strings are for optional reentrant tuning marked with * on the string chart. The titanium strings have a translucent purple hue, and a polished, smooth feel similar to nylon, but they have a slightly brighter tone and increased projection.